May 2, 2016 by Ecommerce News. About Events with tags Europe. 4683 views. 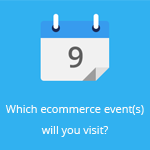 A new month, a new chance to attend some ecommerce events in Europe. This month there are several online retail conferences you could attend in London, but there are also interesting summits in Berlin, Stockholm and Bucharest! We made a handy overview for you, so you know when and where an ecommerce event in Europe takes place. Ecommerce Show Europe is being organized for the third time now. This two-day event consists of three different conferences, as it runs alongside Home Delivery World Europe and Click & Collect Show. Treffpunkt E-Commerce Berlin is a networking event of Der Händlerbund, the national online trade association of Germany. It’s off course meant for ecommerce players and offers presentations from Coeo Inkasso, SpringGlobalMail, Smarketer and PaketButler. EcommDay, short for International Ecommerce Day, is an international ecommerce conference which will be organized solely online. 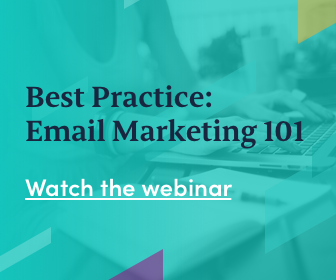 It’s a one-day live event, which gives viewers the chance to interact with ecommerce business owners, marketing managers and conversion rate optimization experts. This London-based event brings together UK and EU policy makers, local ecommerce companies and international retailers trading in the UK together to discuss the issues affecting ecommerce in the UK. eCommerce Worldwide Cross-Border Summit is a free event for companies who plan to expand their ecommerce business overseas. There are keynotes from Boden, Global-e, Virgin Megastore, Shop Direct, Alibaba and more. If you want to know more about the ecommerce industry in the Nordics, the Nordic eCommerce Summit might be it. This 2-day event welcomes more than 1,000 attendees. There are speakers from Asos and Alibaba and you can follow 15 different symposiums and workshops. Online and Digital Grocery Summit 2016 is an event that is particularly interesting for companies in the FMCG industry. It wants to make attendees understand the key actions to optimize ecommerce strategies and increase online sales. Speakers include Facebook, Asda, Waitrose and Coca Cola. GPeC Summit is a popular online retail event in Romania which lasts for three days. During these days, there are several conferences, workshops, the GPeC E-Commerce Expo, networking possibilities and… a party! This popular event lasts four days and it takes place in sunny Barcelona. Not bad, huh? You can absorb information from keynotes, market insights, business cases, the Global E-commerce Party and the European E-commerce Award show.